up4 probiotics are made with clean, safe ingredients that work naturally with your body—to support an overall healthy you. 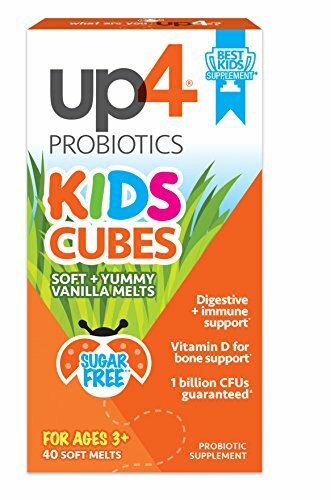 * up4 probiotics are shelf-stable and do not require refrigeration. up4 Probiotics began with the mission to enhance the overall wellness of every lifestyle, with a commitment to quality. Your life is your story, and we’re devoted to creating probiotic supplements that support your everyday health and wellness. * Probiotics is who we are. What are you up4? KEY BENEFITS: supports digestive + immune health,* vitamin D for bone health,* works naturally with your child's body,* naturally acid + bile resistant strains, sugar-free,˜ preservative free, no artificial flavors, one Billion CFUs. If you have any questions about this product by up4, contact us by completing and submitting the form below. If you are looking for a specif part number, please include it with your message.